AMSTERDAM, The Netherlands - One feature that defines the creative industries, especially fashion, within the diaspora is the sheer vastness of the landscape. Within one sector in one country are many many players, small and big, influencing the local market with content and product. A handful of those players have found prominence within a region or even cross-continentally (think Nollywood stars or Afrobeats artists that have crossed over to the West). Now multiply that by 54 countries on the African continent and exponentiate that by the countless diaspora communities in all corners of the earth and there's a complex landscape to navigate. However, connecting the dots between a label in Johannesburg with a manufacturer in Ethiopia has never before been easier with the advent of the Internet and social media. Congolese creative and founder of Africa's first fashion industry database The FOFA or Future of Fashion Africa, Nsimba Valene Lontanga is dedicated to shaping cross cultural collaborations. PROTOChic connected with Lontanga to contemplate the future of African fashion. PROTOChic: Incredibly, you wear many hats. From entrepreneur behind contemporary fashion label LIBAYA to trend researcher and consultant, what led you to your next venture in The FOFA? Nsimba Valene Lontanga: I’ve always been interesting in discovering people, products, and places that will change the way we see the world. My activities within the fashion industry led me to focusing on how to make connections between different stakeholders in order to create new visions for the future. I received so many questions - "are there really industries on the continent; are there professionals who can compete on a global level; how good are the designers; do people know what art direction is – a lot of questions that for me did not make sense. But looking at this vast diverse landscape, I started to understand that it is quite a challenge to discover everything that is happening from Ghana to Congo and Morocco. There is so much yet to discover. That was one of my motivations to take the lead and start The FOFA, after launching my brand LIBAYA, which is inspired by a Congolese fashion narrative. We live in a time where the spotlights are on creative Africa from fashion to arts and music – and I truly believe that the continent is brewing a new map of global influencers that are determining what is next in those areas. 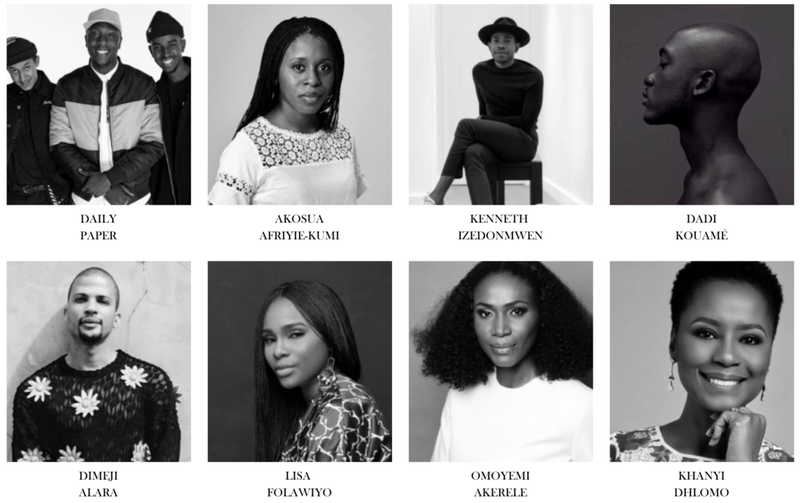 PROTOChic: What does greater visibility of the powerful players across the fashion industry within the African diaspora mean to you, both personally and professionally? NSV: It means the future is now. I wanted to make this visible and create a platform where we can feel a sense of a community that is moving forward together. We need to focus on collaboration, inspiration, and participation in order to grow and compete on a global level. There are so many talented people doing amazing things on the continent or in the diaspora – we need to make use of this power by coming together. I hope The FOFA will inspire people to focus on what we already have within the continent – and promote that instead. At the other side, it is also to take responsibility as there are so many Western companies and professionals interested in this landscape. I feel it is very important that it always starts with us Africans, so that we can invite others to become part of it rather than the other way around. At the end of the day, you need both, but we have a problem when people value Western publications more than ones by Africans for Africans. We need to take the lead and act to shape it. I want this generation to have the time to entirely focus on creating and not fighting against institutions where they are not valued or appreciated. PROTOChic: Who are the diaspora creatives, entrepreneurs, and executives who inspire your own journey? What are the new African narratives you are keen to explore through The FOFA? NSV: I have a lot of respect for Sarah Diouf. She is the director of Ifren Media Group, which holds digital publications Le Magazine NOIR and GHUBAR Magazine and she also founded online brand Tongoro. She is now based in Dakar, Senegal. I also love Hélène Christelle. 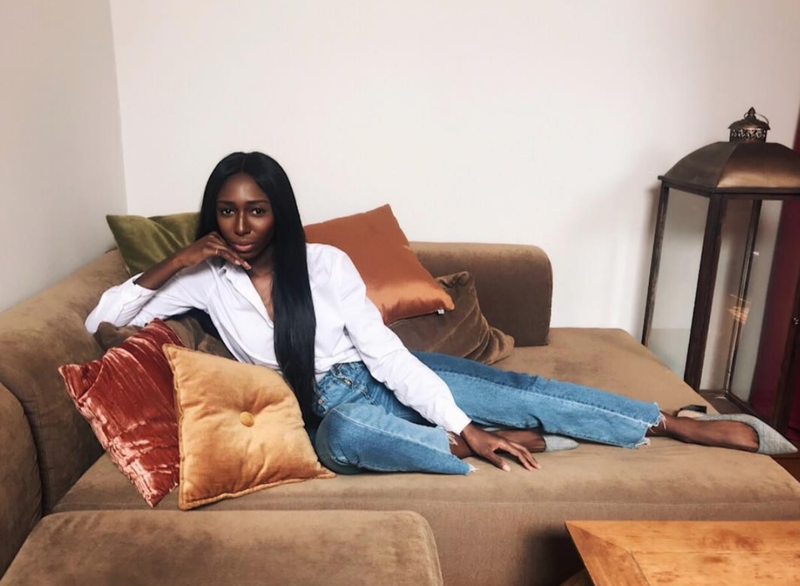 She is a journalist and has her roots in Rwanda and now writes for different publications in the Netherlands including Vogue. She is based in Belgium. It’s a long list of people who inspire me, but mostly African sisters – female empowerment is very important for me. The new African narratives I’m keen to explore? I just want to create a new narrative and show that fashion in Africa is here and is part of what is happening globally. If you can’t value this or understand what is happening now, I think you are really missing out as a company or a professional. Africa is the future and everything is happening right before our eyes. PROTOChic: What is the impact you hope The FOFA will have on the industry more broadly? NSV: I hope The FOFA will become an indispensable platform, the same as we see Business of Fashion. I really believe it is needed that we have such things of our own. But most importantly, I want people working within this landscape to experience how powerful it is when you work together, collaborate, inspire each other and exchange thoughts, ideas and knowledge to grow and create something sustainable. The focus will also be on facilitating creative collaborations between African talents as well Africa and the rest of the world. PROTOChic: Lastly, how did you get your own start in the fashion industry? What advice would you offer to those looking to enter? NSV: I studied trend research and concept development and then did an internship in Accra and in Amsterdam within a fashion company. But I've got to say that I learned most during my personal research on the Internet – people should not underestimate the power of online. It was around 2009 when I started being very active with a personal blog. I had Tumblr at that time and connected with so many individuals that are now a part of this landscape. It is passion and hard work that took me here – alongside being very curious, so that I never stop learning. Learn more about The FOFA here.